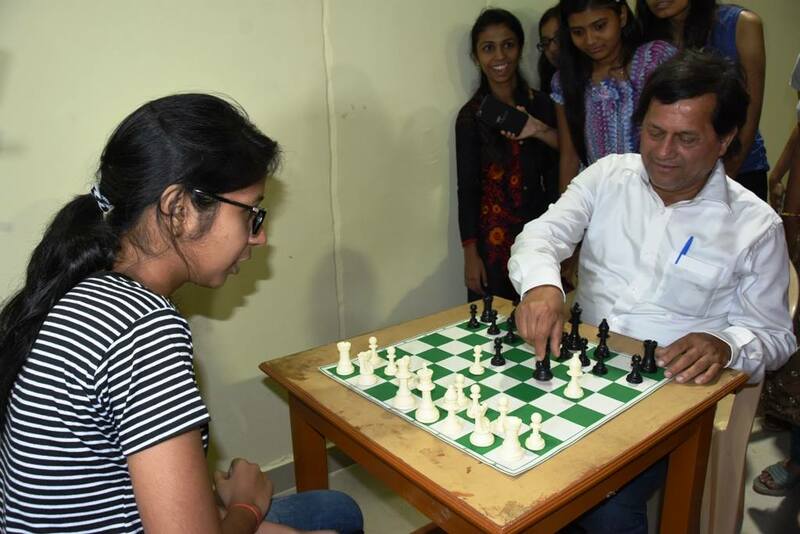 In the words of Mahatma Gandhi, education should result in physical, psychological and spiritual development of children. 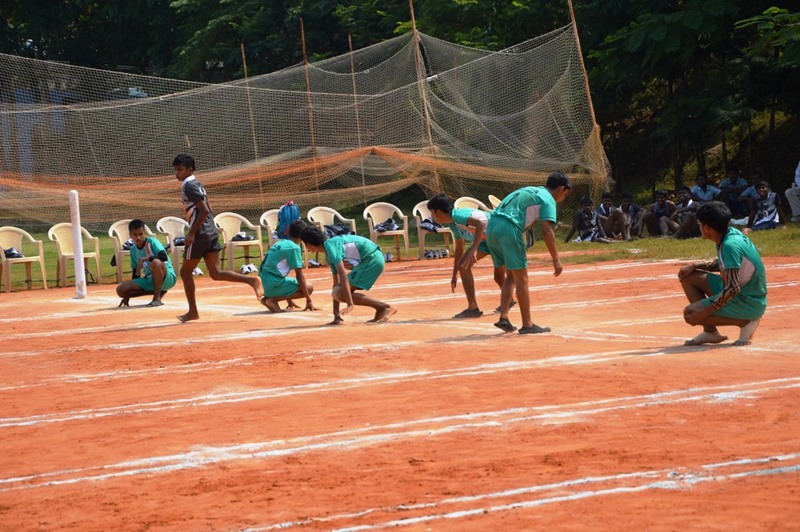 Indeed, education and sports are complementary. 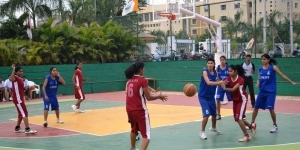 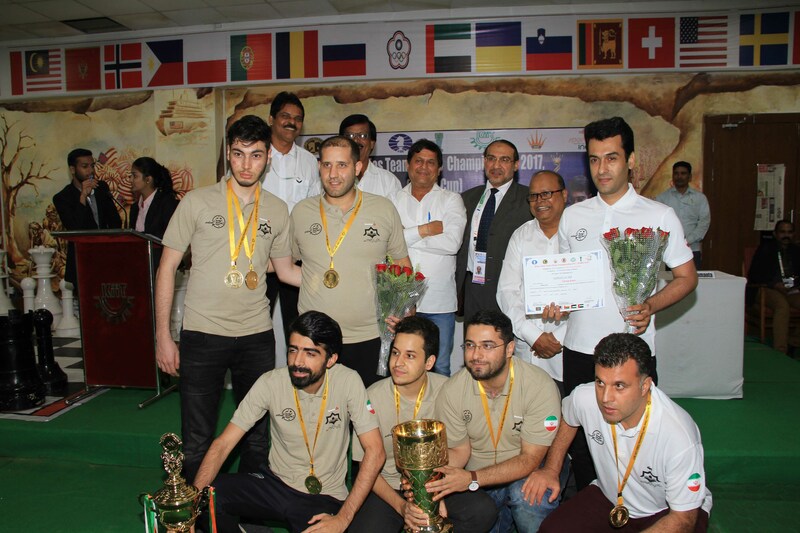 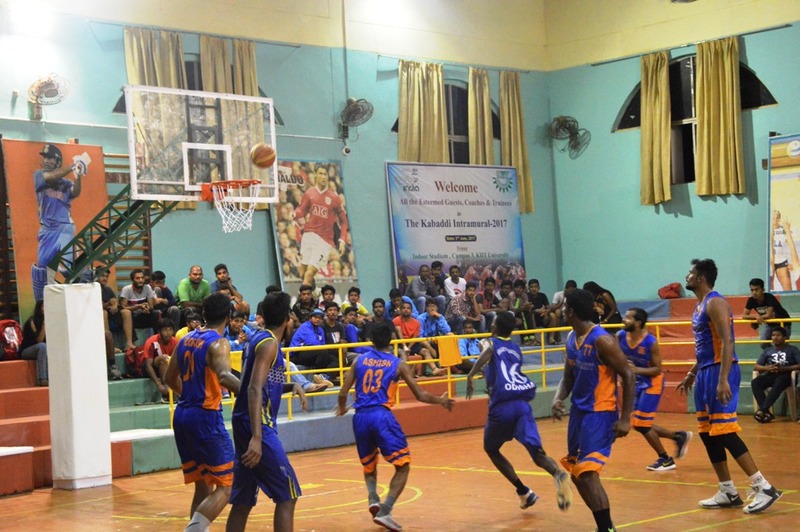 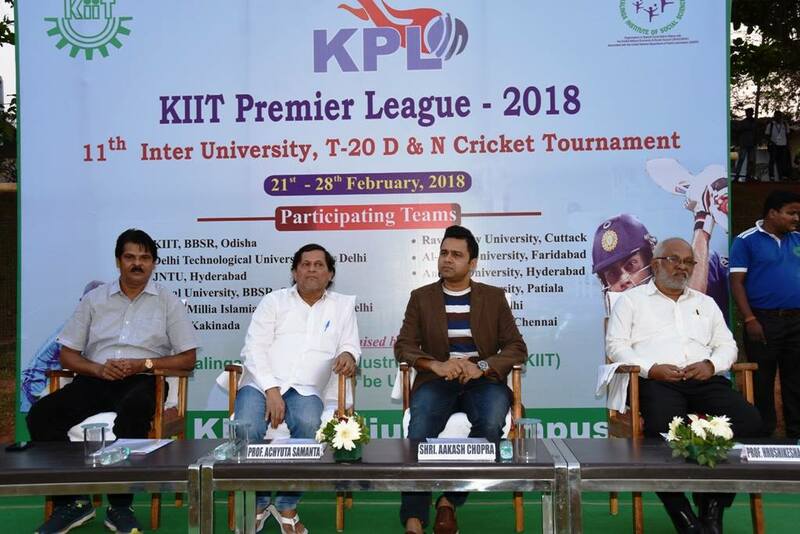 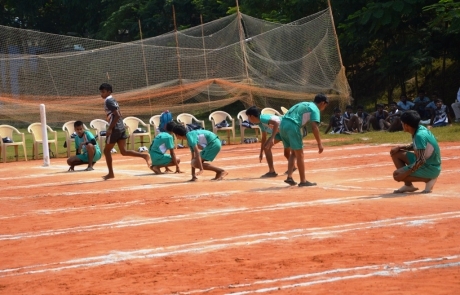 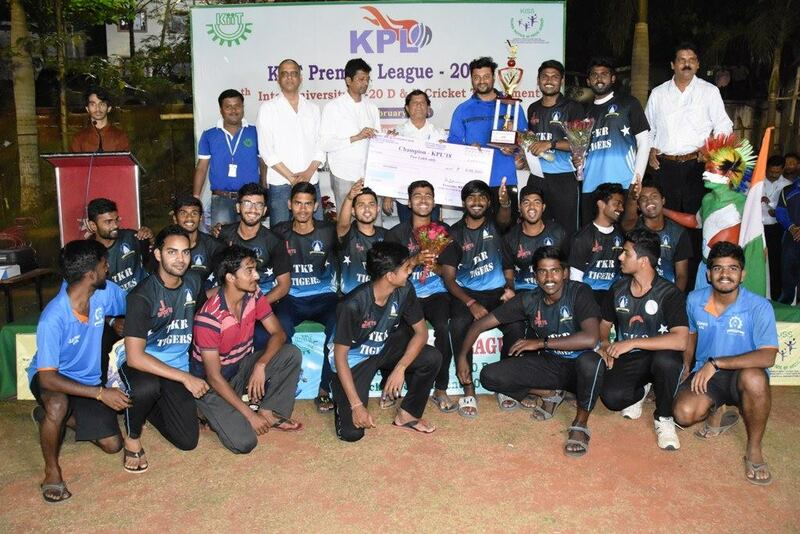 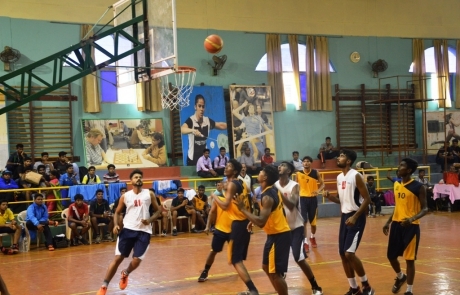 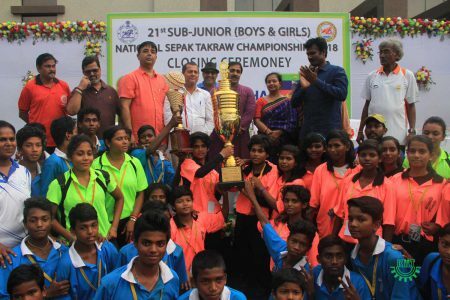 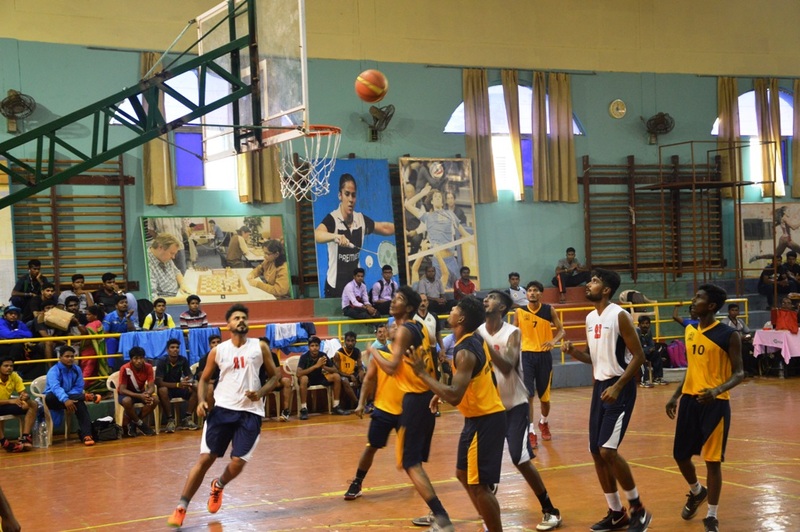 KIIT has been according a high importance to sports since its inception. 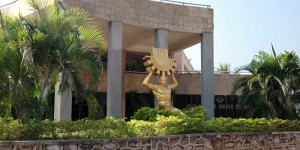 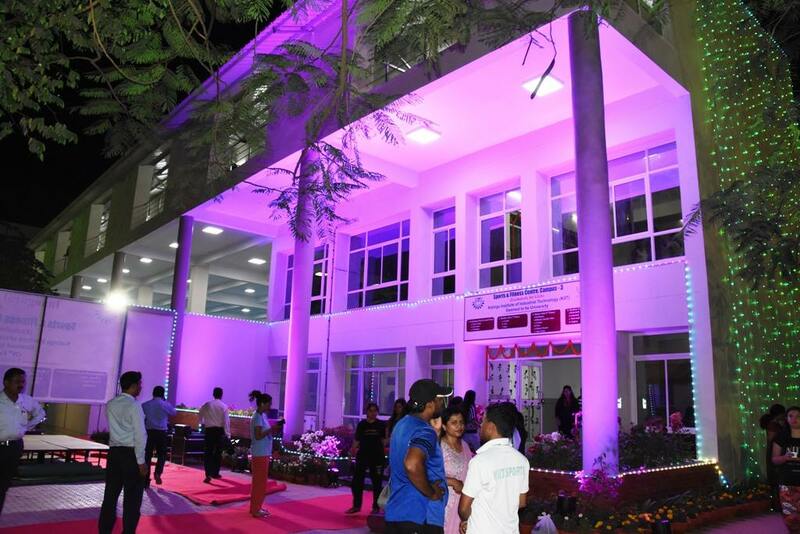 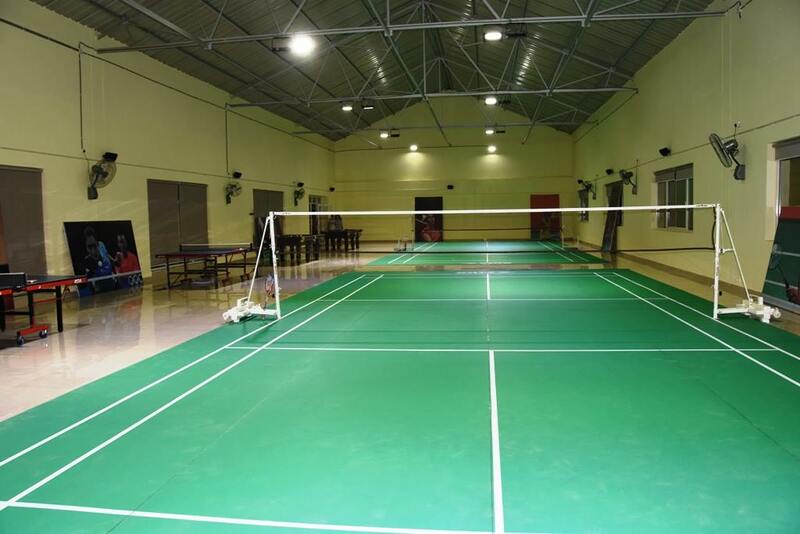 Even though it is not an institution exclusively for sports, all ultramodern sports facility and training, at par with any national level sports hostel or sports training centre, are provided here. 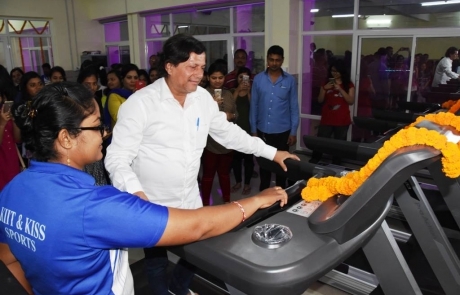 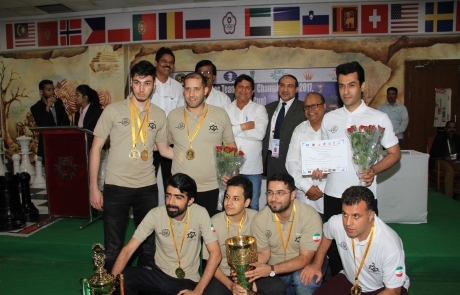 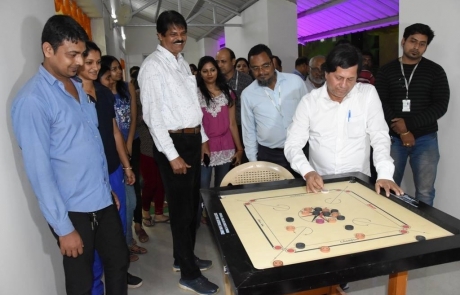 As a result the institute has been able to groom many national and international level sportspersons, who have participated in Olympics, Asian Games and Commonwealth Games as a part of Indian contingent. 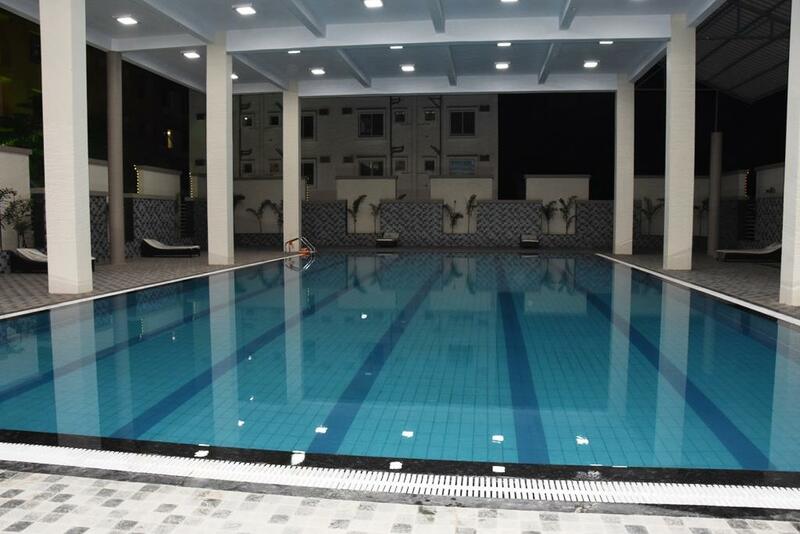 Elaborate and state-of-the-art sporting, fitness and gaming facilities are available both centrally and in individual campuses. 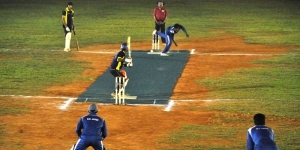 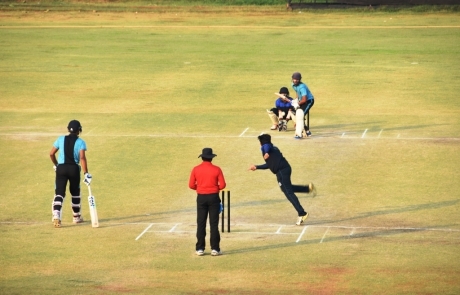 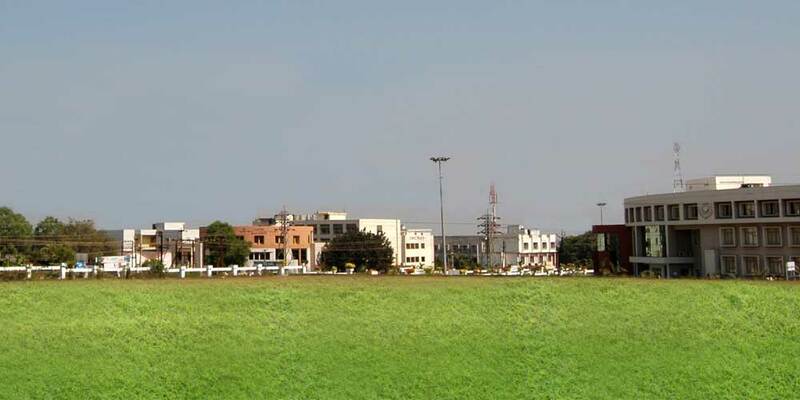 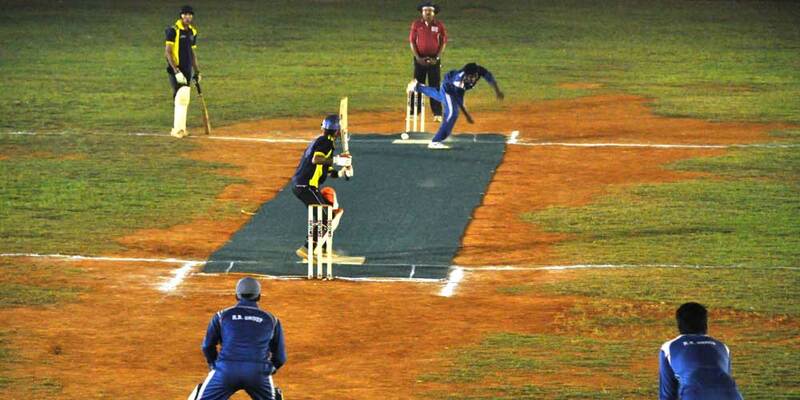 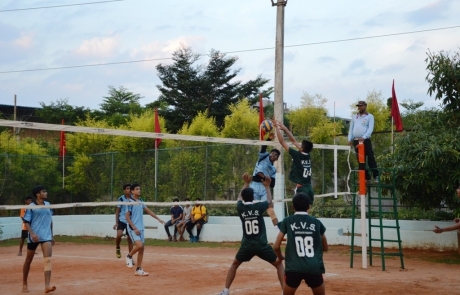 Fields for various outdoor games dot various campuses of KIIT. 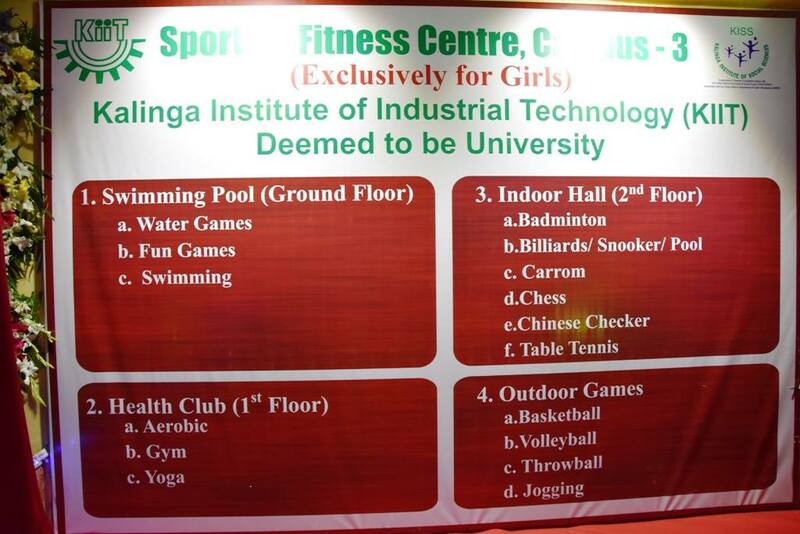 Facilities for indoor games are also available. 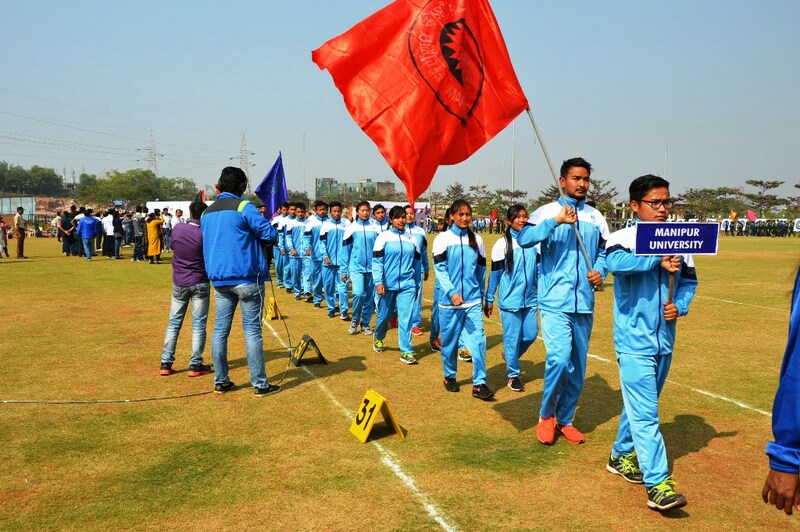 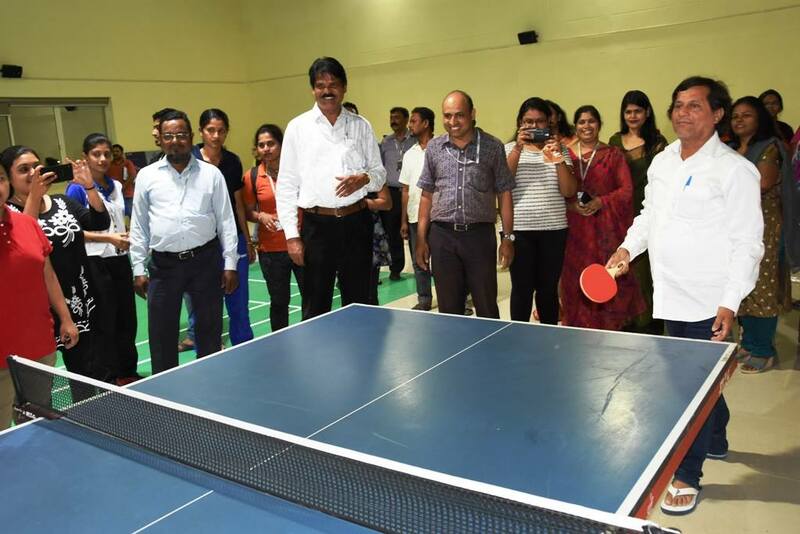 Sports activity in KIIT is facilitated by KIIT Stadium, 12 Sports Complexes with swimming pools and Indoor Stadiums distributed in different campuses. 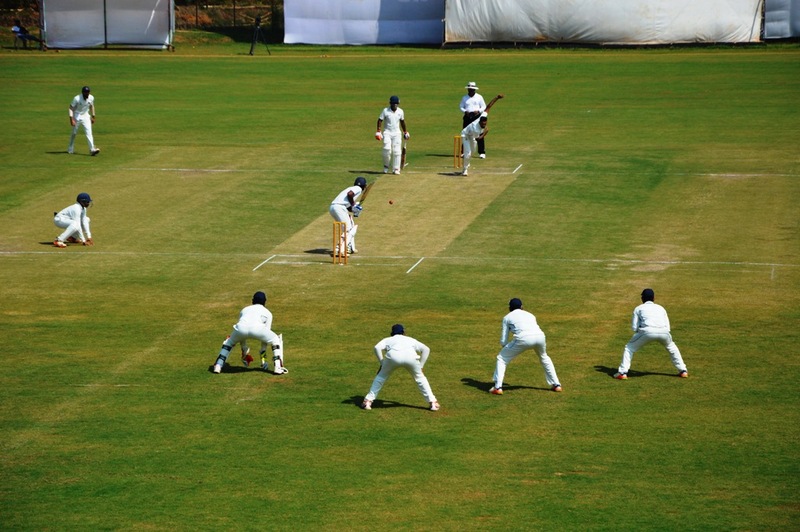 Sprawling over an area of 29 acre, KIIT Stadium has the capacity to hold day & night matches, and is a regular venue for Ranji Trophy matches. 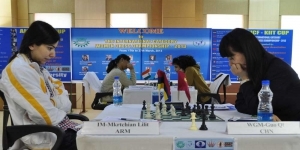 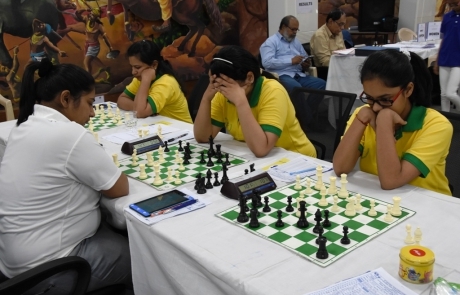 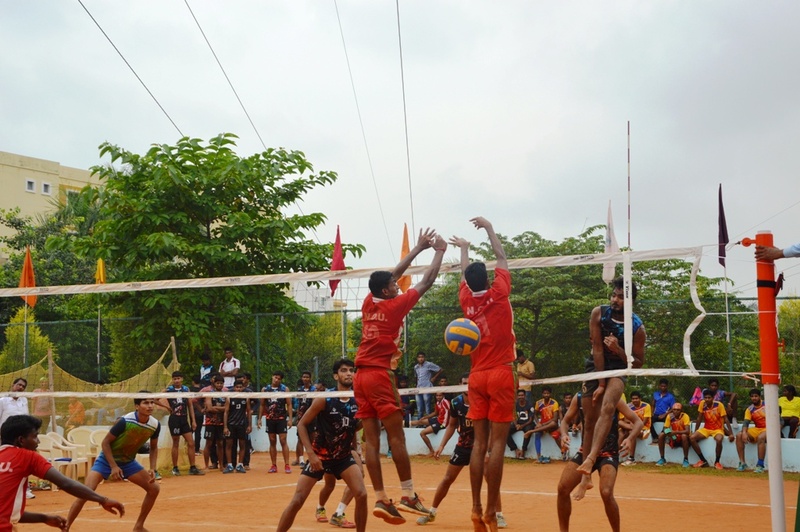 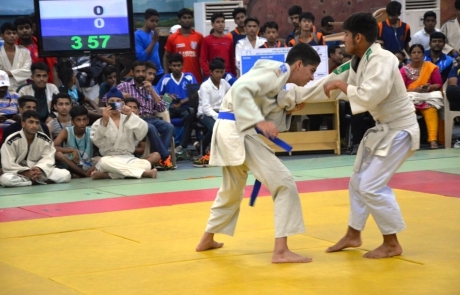 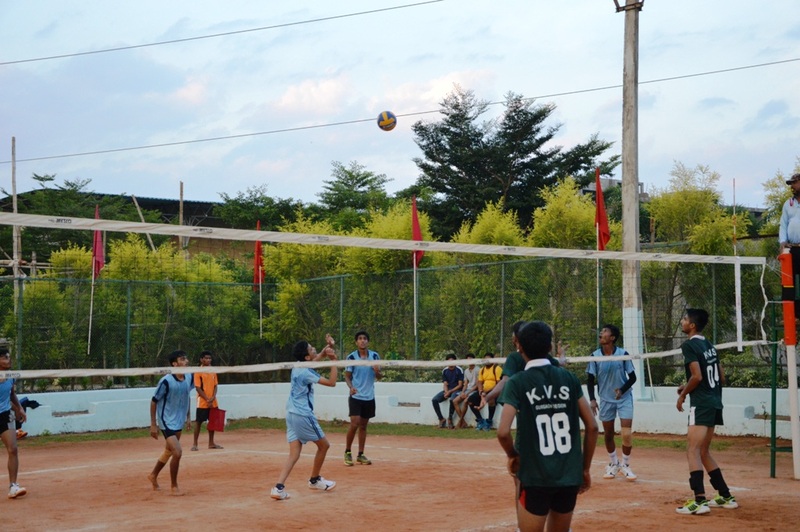 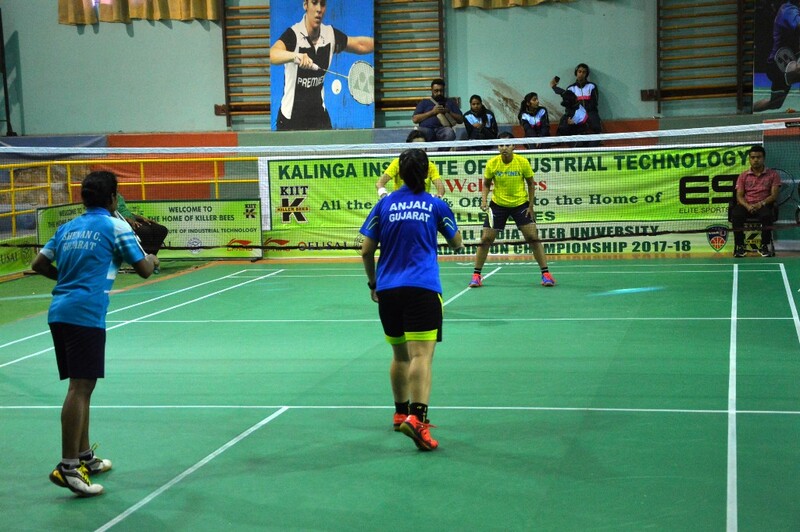 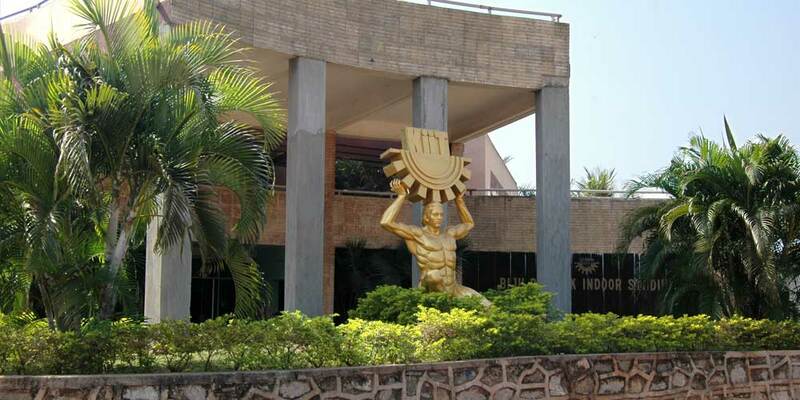 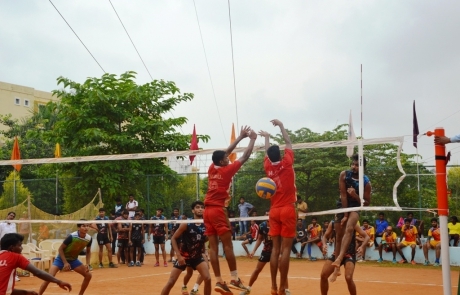 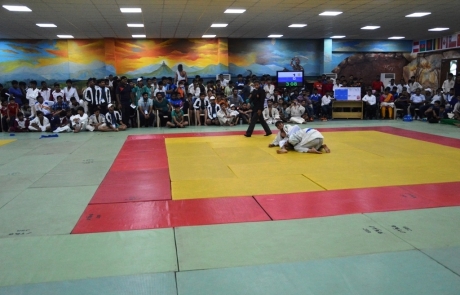 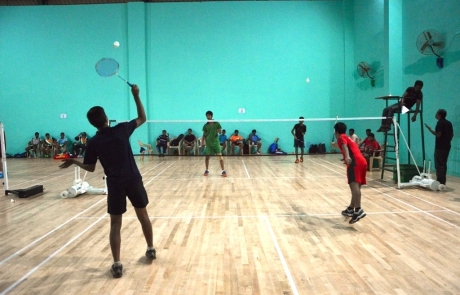 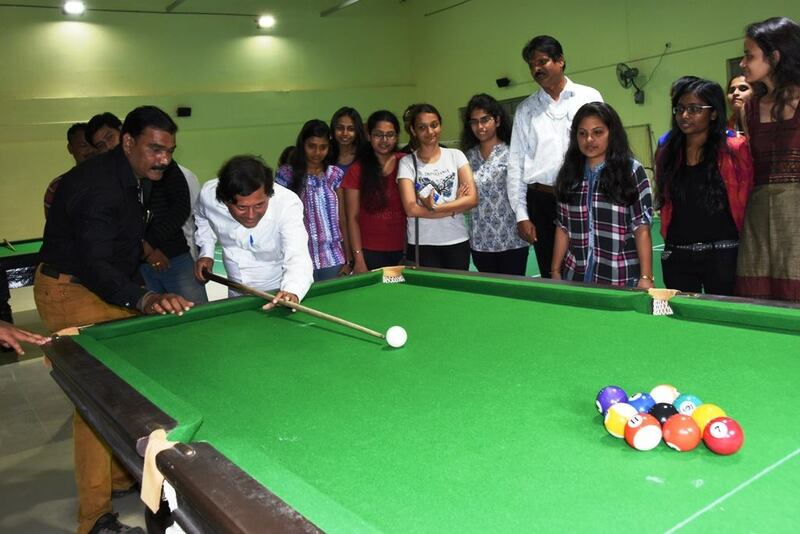 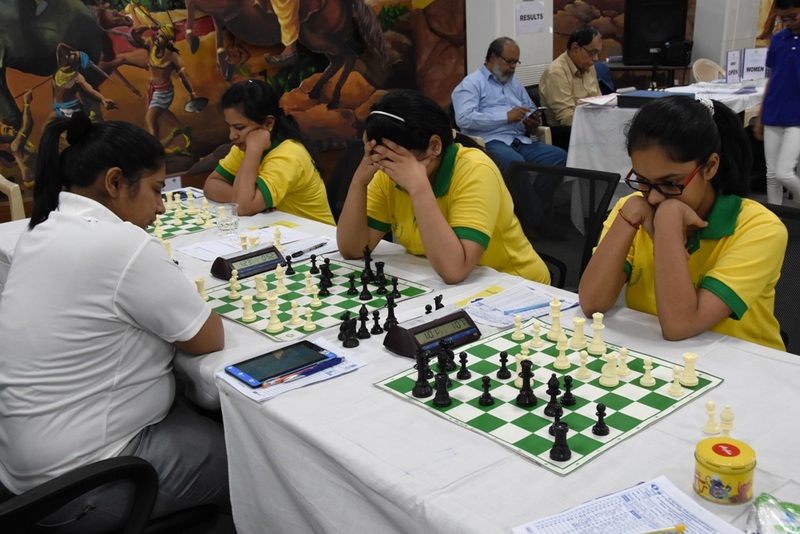 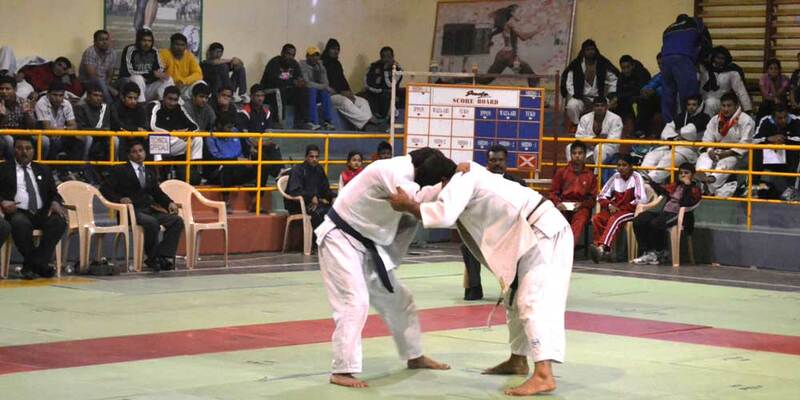 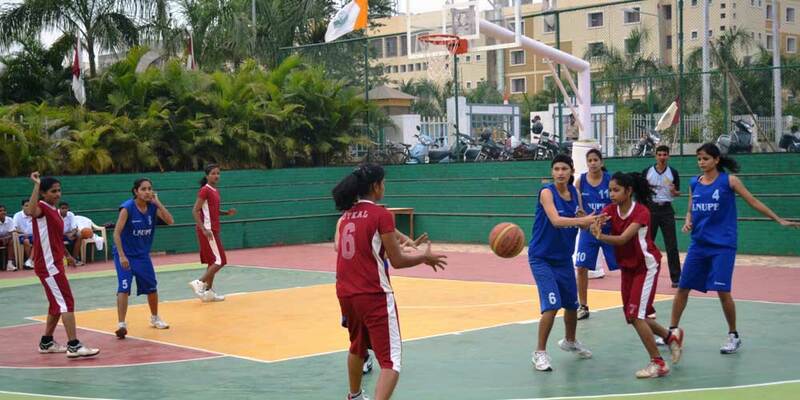 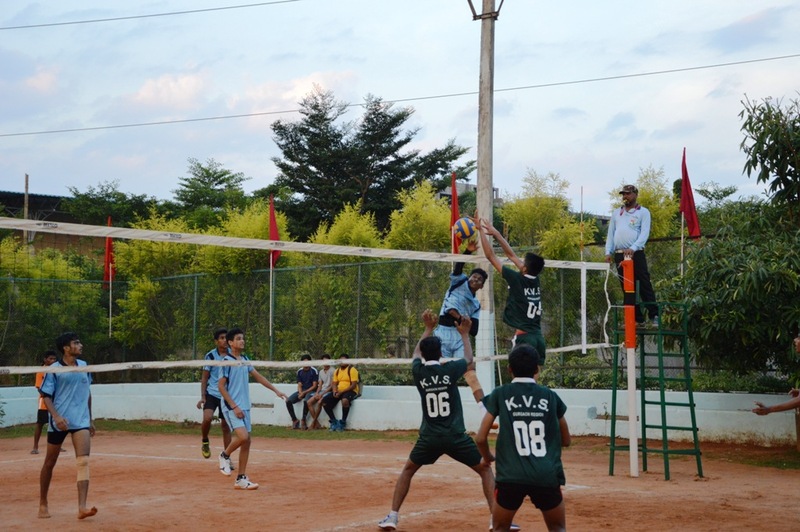 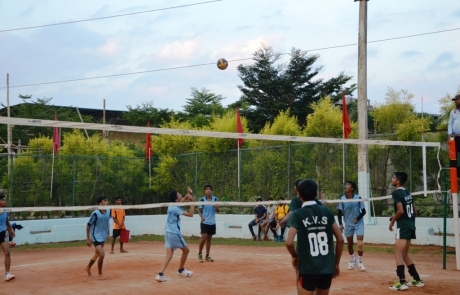 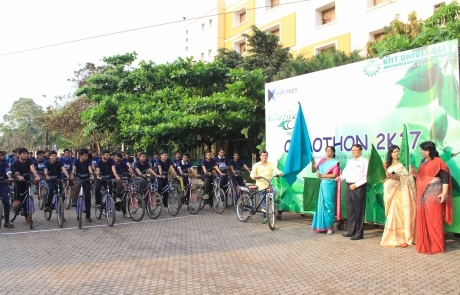 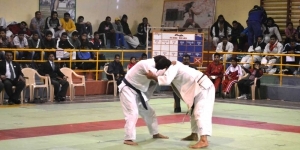 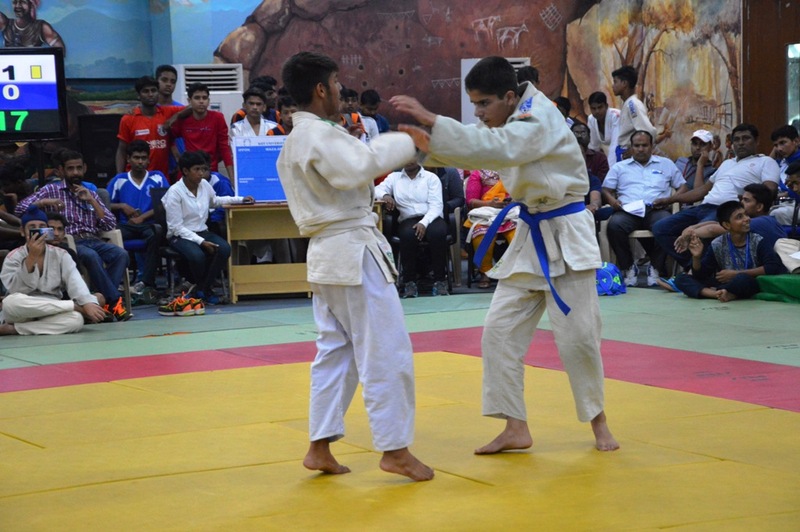 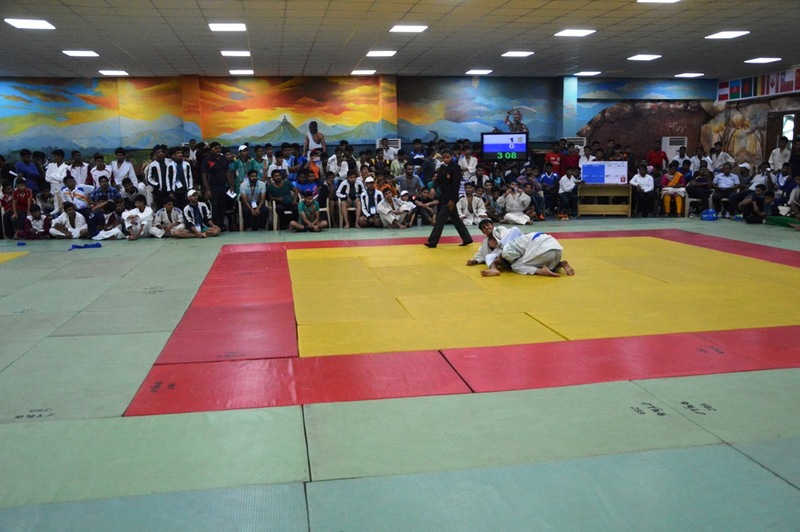 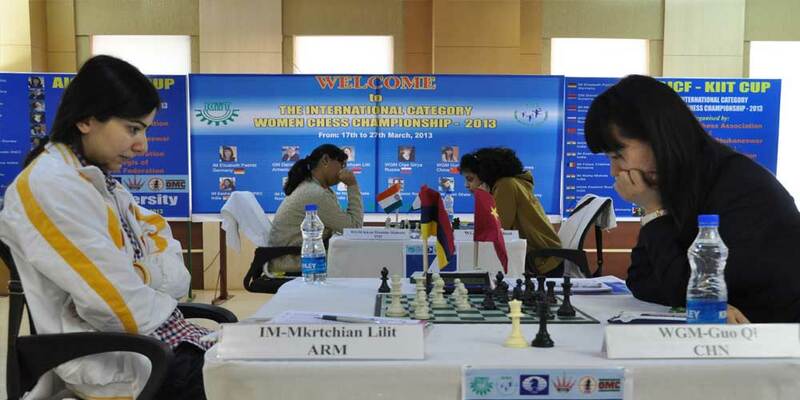 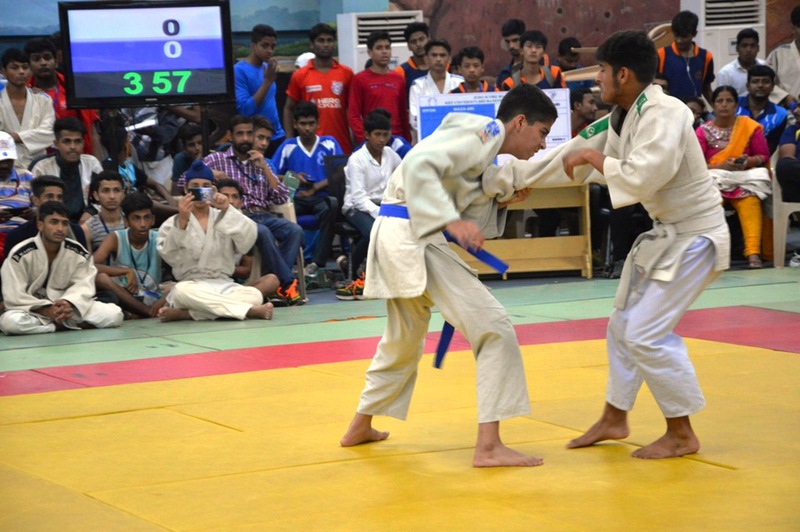 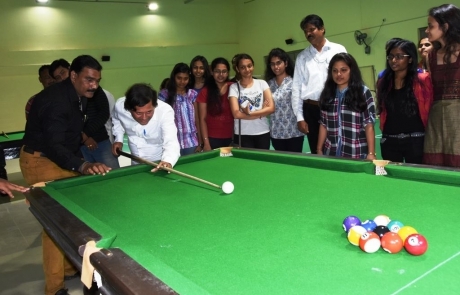 As a university with a vision, KIIT promotes sports and games among the students and staff. 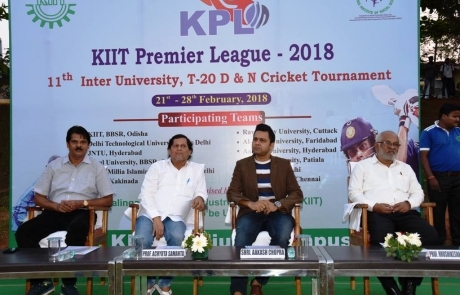 KIIT Stadium has the capability to hold day & night matches and can seat upto 40,000 spectators. 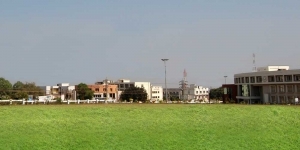 It has facility for Cricket (turf wicket), Hockey (astroturf), Kabaddi, Football, Volleyball, Kho-Kho, Throwball, Basketball, Rugby, Handball, Netball and Track & Field (400 m). 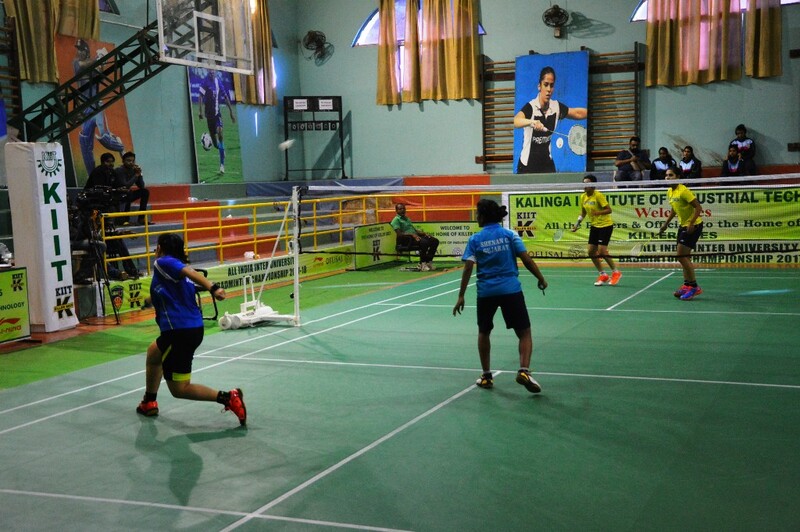 KIIT’s Central Indoor Stadium – Biju Patnaik Indoor Stadium – is the hub for indoor sports activities. It is one of the biggest in-campus indoor stadiums of the country. 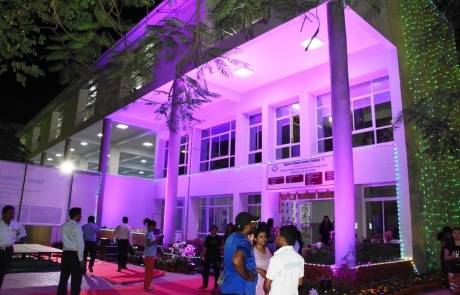 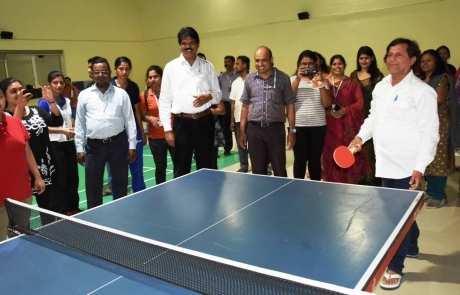 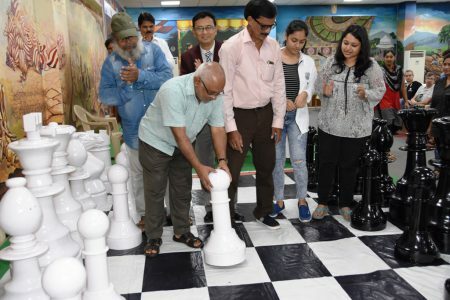 It has facilities for Basketball, Volleyball, Table Tennis, Badminton, Billiards & Snooker (air conditioned), Chess, Carom, Health Club, 12 Station Multi-gym and Yoga Centre. 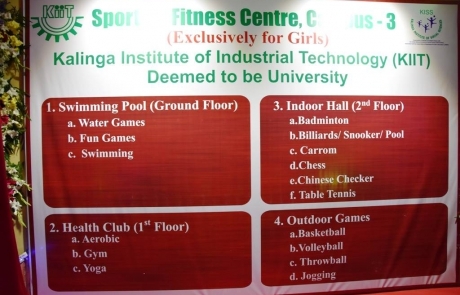 In addition to these two central facilities, 10 Sports Complex are located in different campuses. 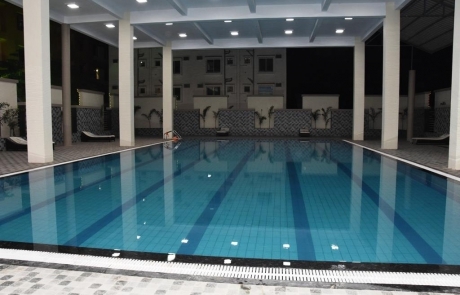 Each such facility has a swimming pool, multi-gym, besides facility for other sports and games.